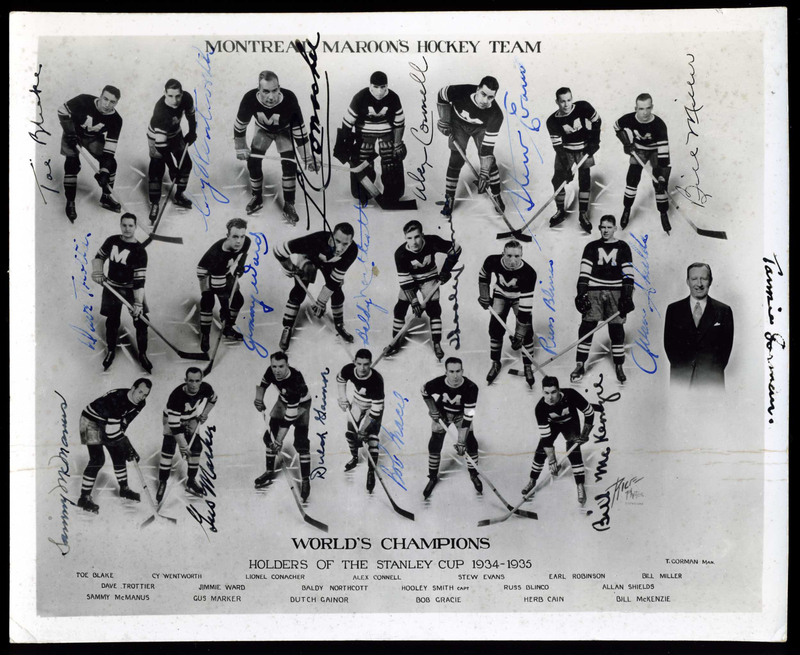 The 19th-seeded ’10-’11 Carolina Hurricanes outscored the 14th-seeded ’34-’35 Montreal Maroons 20-19 in the seven game, but it was the Maroons who came out on top in the end. It was the two goaltenders who were the biggest stars of this tight seven game series. Offensively, it was Earl Robinson who led Montreal. He posted a team-high in goals (6), assists (6) and points (12). Behind him was Herb Cain who was second in all of three of those categories with five goals, five assists and 10 points. Russ Blinco also scored five goals to tie Cain for second on the team. Hooley Smith and defenseman Cy Wentworth were tied for the team-lead in plus/minus rating at +2. Then, five players were tied for second at +1, including Cain and Robinson. In net, Alec Connell lost more games than he won, obviously, but still was very good in the series. He posted a 2.86 goals against average to go along with a .922 save percentage while facing about 36 shots against per game. His single-game high for saves was 40 in a loss in Game 4. The Hurricanes’ offense was overpowering in their First Round and Montreal were able to slow them down in this series. Jeff Skinner and Jussi Jokinen were tied for the team-lead in goals with four while longtime captain Eric Staal was second with three. Skinner was also tied for the team lead in assists at five with Erik Cole and defenseman Joe Corvo. Just like in goals, Staal was second, but he was tied with defenseman Tim Gleason at three. Skinner’s nine points put him atop Carolina’s overall scoring leaderboard with Cole and Corvo tied for second with seven. Tuomo Ruutu and Tom Kostopoulos were tied for the team lead in plus/minus with ratings of +5. Kostopoulos, by the way, finishes the tournament with all three of his goals being game-winners for the Canes. Anyway, Skinner finishes second in plus/minus with a +4 rating. Goalie Cam Ward earned the top star of the series for his performance and it was well deserved. He posted a 2.57 goals against average to go along with a very impressive .938 save percentage while facing an average of 43.6 shots against per game. For the first time in their UNP history, the old Maroons franchise have won a series. Last year, the ’34-’35 Maroons were defeated by the 20th-seeded ’02-’03 Dallas Stars in six games, but this year the ’34-’35 Maroons are moving onto the Third Round after having First Round byes in both tournaments. The ’10-’11 Carolina Hurricanes finish the tournament by repeating last year’s representatives run of advancing from the First Round and being eliminated in the Second Round in seven games. Next up in the Third Round, the ’34-’35 Montreal Maroons will face the 3rd-seeded ’07-’08 Detroit Red Wings who defeated the 30th-seeded ’85-’86 Hartford Whalers in six games! Up next in the Second Round are the 2nd-seeded ’44-’45 Toronto Maple Leafs and the 31st-seeded ’84-’85 Winnipeg Jets! This entry was posted in 2nd Round, Ultimate NHL Playoff and tagged Alec Connell, Cam Ward, Carolina Hurricanes, Cy Wentworth, Earl Robinson, Eric Staal, Erik Cole, Herb Cain, Hooley Smith, Jeff Skinner, Joe Corvo, Jussi Jokinen, Montreal Maroons, Russ Blinco, Second Round, Stewart Evans, Tim Gleason, Tom Kostopoulos, Tuomo Ruutu, Ultimate NHL Playoff. Bookmark the permalink.